A player who got his start with 100 Mile Minor hockey is wrapping his distinguished career as a champion. Reece Forman, from 108 Mile Ranch, played defense for the KIJHL Chase Heat for two seasons starting in 2011. After playing for several teams including the Prince George Spruce Kings, he moved to Saskatchewan, playing Junior A for the Nipawen Hawks. 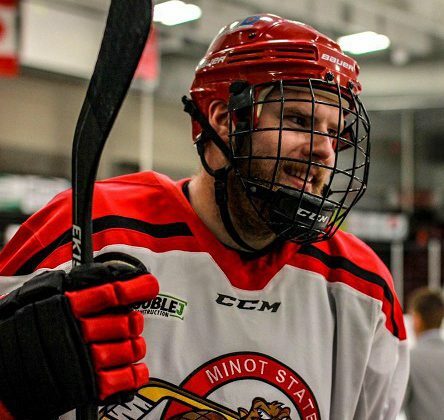 While playing for the Hawks he was recruited by the North Dakota Minot State Beavers. 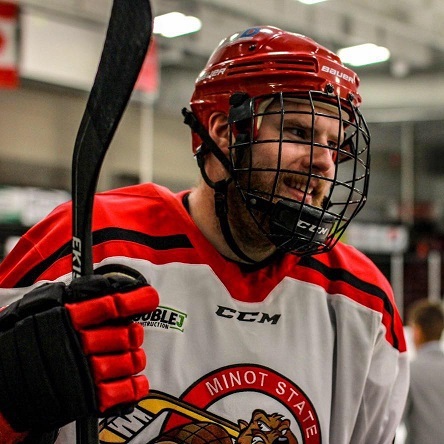 While working on a criminal justice degree, he helped the Beavers to win the American Collegiate Hockey Association championship against the Iowa State Cyclones last week. Forman graduates this year, and will be reporting to Depot in June in Regina to join the ranks of the RCMP.